For centuries, elderflowers and elderberries have been used in various forms to prevent and treat various health issues. Since most of elderberries are not edible, even when fully ripe, elderberries must be processed and cooked to be safely used. Fully ripe fruits of Black elderberry (Sambucus Nigra) are safe for humans, but fruits of all other elderberries should be considered NON EDIBLE - just to be sure, also consider all other parts of plants also inedible due to cyanogenic glycosides (type of sugar which contains a cyanide group, which can lead to cyanide accumulation in the body). - various elderberry extracts, etc. Nutritional value of 100g of elderberries: they contain 0.7g of protein, 18g of carbohydrates, 0.5g of fats, 7g of fibers, for a total of 73 kcal. Also, elderberries are very rich in vitamin C (36 mg - 43%), vitamin B6 (0.23mg - 18%) and iron (1.6mg - 12%). 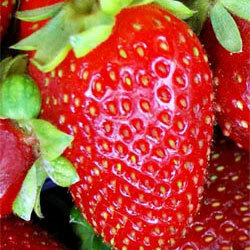 They contains many other vitamins and minerals in lower amounts - contains no cholesterol and negligible amount of sodium. Besides vitamins and minerals, elderberries contain many other compounds that are beneficial for humans with some preliminary studies demonstrating that elderberries may have a measurable effect in treating the rheumatism, the flu, various cancers, alleviating allergies, treating traumatic injuries and boosting overall respiratory health - elderberries have been used medicinally for hundreds of years for good reasons. 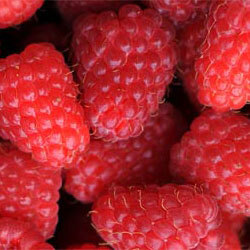 Even better, they can be consumed as part of regular, everyday nutrition. 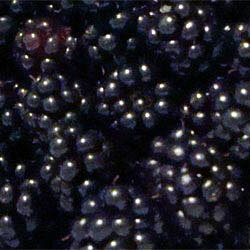 Cooked meals - elderberries can be prepared in many ways, but they are prepared often in mixed pies, jams and jellies. 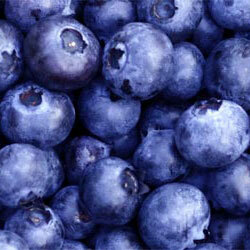 In such form, they give special flavor and aroma - delicacies, with all other health benefits of elderberries included. One doesn't have to grow dozen of elderberry bushes or trees to enjoy these berries - single elderberry bush can provide plenty of berries, which can be mixed with other homegrown berries and fruits in general. - use kitchen oven - warm the oven up to, but not more than 50°C (125°F), turn off the oven and put elderberries inside the oven - if your over have artificial air flow, be sure to turn it on. When oven cools, warm it to 50°C again and repeat the process - in most cases, 3-4 cycles are enough to dry the elderberries. - air-drying - place clean elderberries in the pan and place it outside in the shade during sunny, dry and preferably windy day. Also, place some thin/light cloth on the elderberries to protect them from insects and birds. Depending on the local weather, it will take few days (up to a week) for elderberries to get really dry, but will be preserved for long. 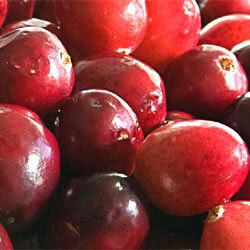 - food dehydrator is perfect solution for elderberries. Depending on the model and power, place clean elderberries according to the manual in the dehydrator and let the machine do the rest. Dry elderberries are shriveled and rather hard and should be stored in the jars for later use. Dried elderberries can be rehydrated for making meals, syrup, juice, tea etc. Fresh elderberries can be frozen for later use, too. Elderberry syrup can be made from fresh or from dried elderberries. Place dried elderberries into the stainless pot, cover them with clean cold water and let them soak overnight. If you are using fresh elderberries, put somewhat less water, without soaking them overnight. Place the pot on the stove, turn on the heat until water starts to boil, then decrease the heat. Keep the pot covered and let elderberries slowly cook for about 15-20 minutes. Turn off the stove and let everything cool down. After cooling, pour liquid through a cheesecloth into another stainless pot, squeezing out any remaining juice in the cheesecloth. Put the pot on the stove, turn on the heat (low) and let it boil, uncovered, until juice is reduced by half. Then, add some honey to sweeten the syrup and cook until desired consistency is achieved. Honey is not necessary as sweetener, but it also acts as preservative - syrup without honey should be kept in the fridge and can be quite bitter. Honey is good, so feel free to use it. A tablespoon a day of elderberry syrup will help boost immunity, preventing many possible illnesses. And if they do happen, such syrup can help in treating them. Elderberry flowers or elderflowers are dried easily. Pick them gently, remove bugs if present (shaking can help), rinse them with fresh water and place them on a sheet of cardboard or hang them on the thin line (ordinary monofilament fishing line can be used) in dry, shady place with good air circulation. If you hang them on the line, place cardboard or paper under the flowers - as they dry, some of them will fall off - we don't want to lose any of them. When flowers can be rubbed free from their stems, drying is done. Place the dried flowers in jar with a good lid or use a bag with vacuum zipper. Use dried flowers for making elderberry tea, for giving extra fragrance to wines, juices, cordials etc. Regardless if meals are prepared from fresh, frozen or dried elderberries, or they are consumed in the form of elderberry syrup, juice and similar, elderberries and elderflowers are very beneficial to humans - they boost our immune system and they help in treating many illnesses. If you are not able to grow your own elder trees or you don't have wild elderberries where you live, there are elderberry based products on the market, just be sure to read carefully - if they are marketed as 'miracle' supplements or anything similar, stay away from them. Marketing is one thing, real life something else. Health Benefits of Watermelon - How Many Calories are in Watermelon?